The only question is why it is such a big fiasco. Why it can not even pay its employees after 1/2 century? Dan, nice to see you back. 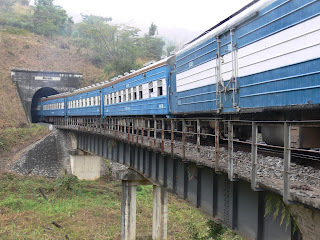 We have an expert on Tazara: Jamie Monson. I'll see if she has some insights into this. But public infrastructure maintenance and management difficulties are not unique to Chinese-built infrastructure. Ha, ha Anonymus. This decission was made more than a century ago. Today the gauge in Europe are the same. Thanks @Barney. I haven't seen the draft contracts, but if there was a negotiation over this is clause, it was likely not CRBC but China Eximbank that put it in. CRBC is not financing the SGR--it is 85% China Eximbank and 15% Kenya government (Kenya portion). Would be interesting to know if the railway tax is going into an escrow account to guarantee the loan. @Barney -- thanks, let me know if you come up with something. We will soon be publishing a policy brief on the SGR, FYI.